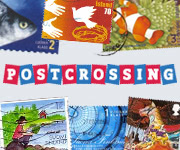 Happenings on Chaos Ranch | this is where I write about all the things that make my life — family, mail, quilting — the list goes on! It’s been so long since I’ve used wordpress, that I can’t figure out how to load photos any longer. I’ve started a new blog over on BlogSpot about my quilting projects. If you’re curious about what I’ve been up to, come check it out. It’s pretty new, at this point. Here is the link Slow Stitching. First, let me say that my hubby has had his surgery and is doing well. The cancer had spread to the outer edges of the prostate, so he will be having radiation therapy in a few months. All in all, we are doing great now and life is getting back to normal! Second, I’ve started a new quilt project! Yes, I know I still have many quilts in progress, but I just couldn’t stay away from this one. 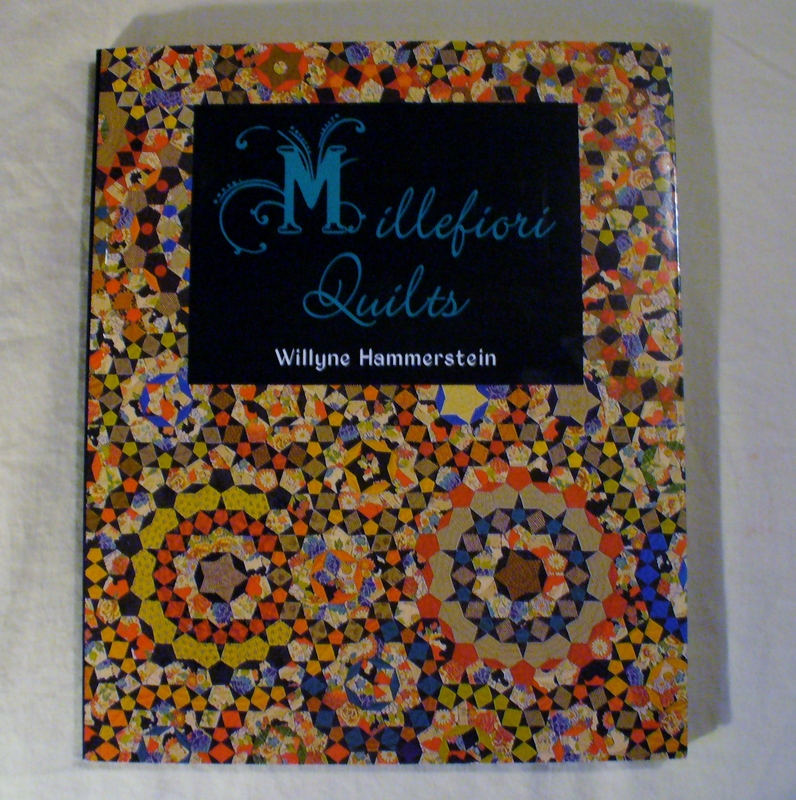 My new project is the La Passacaglia quilt from the Millefiori Quilts book by Willyne Hammerstein. I got my book from Paper Pieces along with the acrylic templates and the English Paper Pieces. These pieces are small! 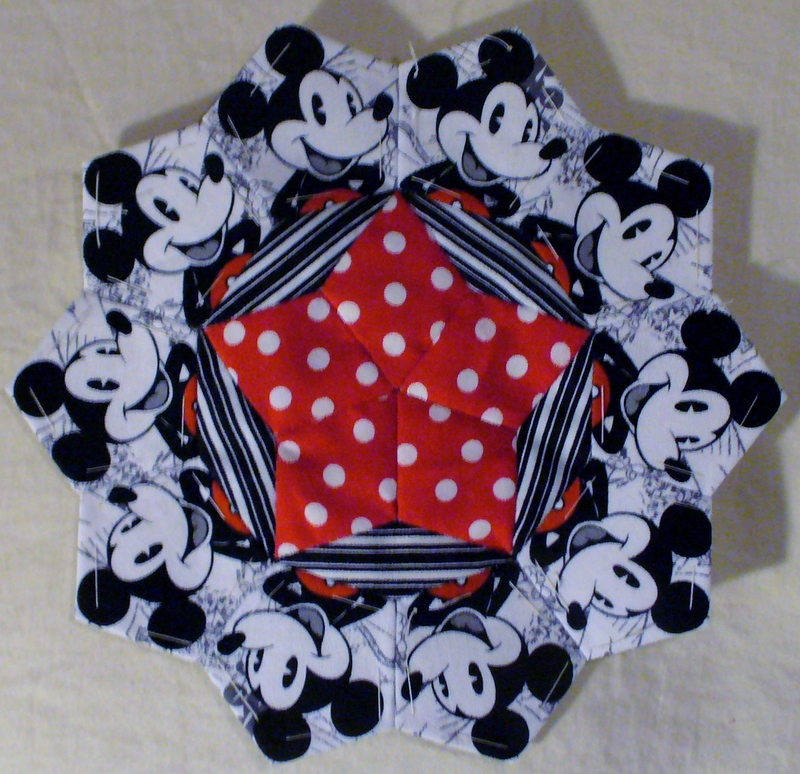 The largest one, the larger pentagon shape (the Mickey pieces in the picture below) is only 1 and 1/4 inches long on each side! You can order the pieces slightly larger (1 and 3/4″ I think) which would end up making the quilt about twin sized, but I didn’t know that when I ordered mine. (Give them a call to get the larger pieces.) To the best of my knowledge, you can only get the book and supplies in the USA from Paper Pieces. The book is more expensive than you would normally pay for a book here in the States because it’s from France. It’s published in French and English and has 19 projects in it. This is the start of one of the rosettes. My first one! I’m thread basting the pentagons and glue basting the diamonds and triangles. 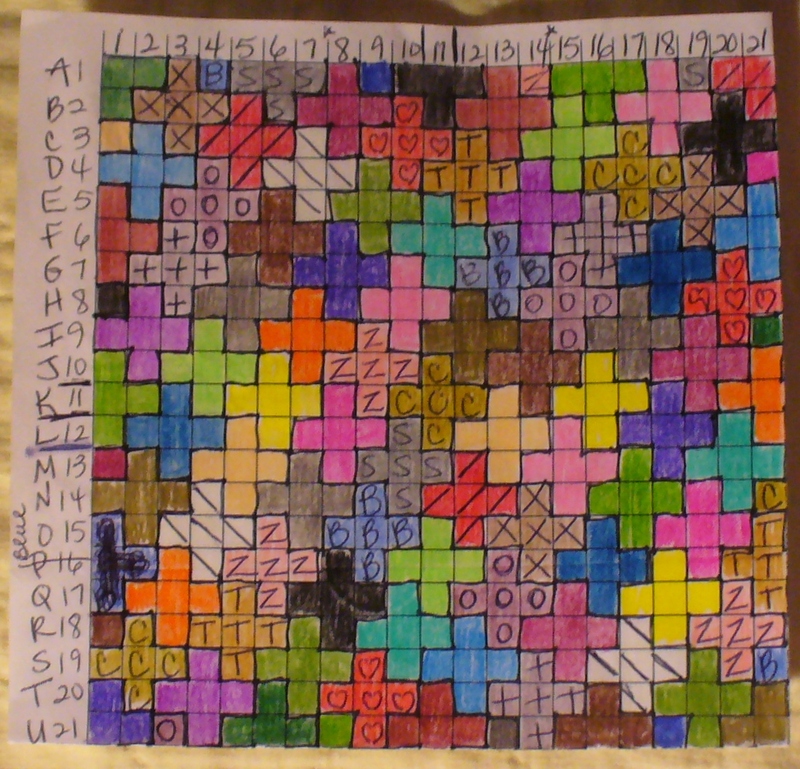 There are only three shapes in this quilt and five different pieces. Two diamonds, two pentagons and one triangle. I had a little trouble with that center star at first. I had never done any kind of EPP other than hexagons, so the new shapes threw me for a awhile. I think I have the hang of it now and I am going to enjoy making this quilt! The next part I’ll be piecing will be ten tiny, red five-pointed stars that have a small black and white pentagon in the center. They will be connected to the mickey pieces. There will be a larger diamond between each star, but I haven’t picked out the fabric for the diamond yet. After that round, it could be a complete rosette number one or I may continue on to make it one of the larger rosettes numbers two and three. We’ll see. At this point, I’m planning on the quilt to basically be red, black, white and grey. I’m going to put Mickey’s and Minnie’s throughout the quilt, with lots of dots and stripes. Oh what fun! Until next time…..Happy Quilting! I almost forgot to tell you that my essay that I sent into Quilters Newsletter Magazine was published on their web extras section of their website! Click here to read it. Mine is the fifth one down! It was the very first essay or story that I’ve ever submitted to a magazine and even though it didn’t make the print version, I’m tickled pink over it! I hope you enjoy reading about my perfect quilt. Today is the day we find out if my husband’s aggressive prostate cancer has spread. Today is also my birthday. I have been wishing this day here since we found out the test results would be given to us today. I’ve wished for this day to arrive so we could know already! I have not wanted my birthday to arrive this badly since I was six or seven years old! My sweet friends, family, and husband have all commented that it’s a crappy way to spend my birthday, but I don’t feel that way. I’m just so filled with gratitude that we find out today. Sure, I wish we could have found out yesterday, not because it wasn’t my birthday, but because it was one day earlier. The not knowing is a killer. I’m worrying over everything. I’m crying easily and over nothing. I have no doubt that my husband is in for a rough road of treatment and that he’s very frightened, but it’s also extremely difficult on the spouse and family. We all want it to be us and not him. We want to spare him the pain. We can’t do a damn thing about it though. All we get to do is worry until we can care for him. It’s a dirty word. Happy Birthday Books from my mom! My birthday has not being forgotten either. I’ve had calls, emails, good wishes on Facebook and by text. I’m celebrated and I’m thankful to have opened my eyes on the anniversary of my birth many years ago. This year, I’m most grateful that we’ll know what we’re in for though. I seriously cannot express that gratitude fully. No matter what the results are, knowing will free me. I’ll be able to start acting on the problem instead of being in limbo. That, in itself, is a wonderful gift! 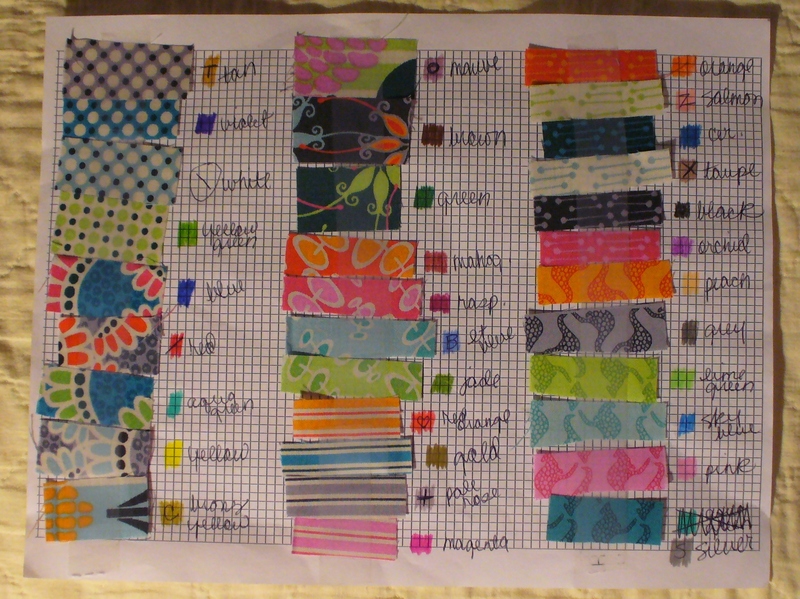 This evening, when we get home from the doctor, I plan to start working on my plus quilt! 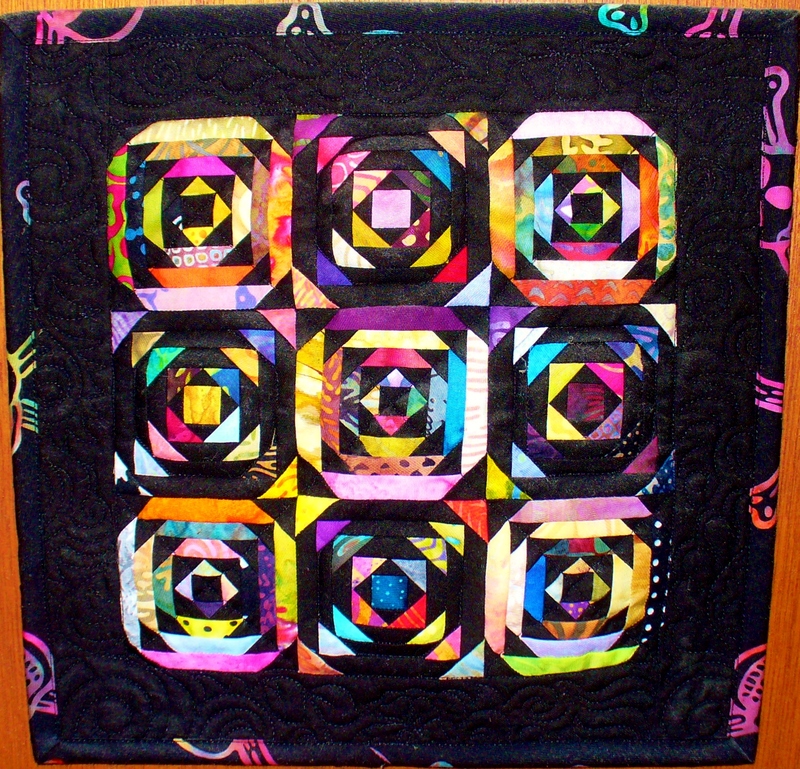 (Click here for a tutorial from In Color Order or to see what the quilt pattern looks like.) I showed you the fabric I’ll use in my last post. I’ve finally decided to cut my squares to four and a half inches and just make it as big as I can. 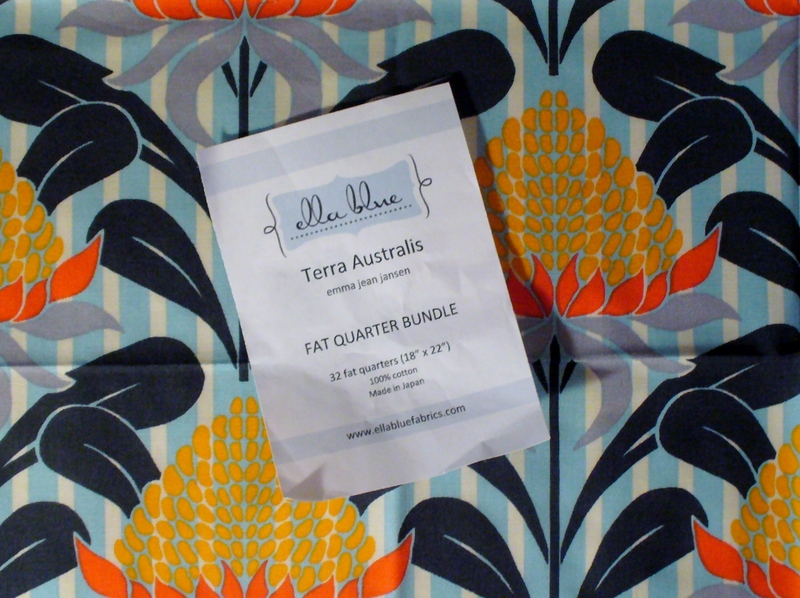 I’m going to cut up all the fat quarters in the Terra Australis bundle. Then I’ll lay out the quilt pieces and play with it until I like the layout. At that point, I plan to graph the design I’ve chosen and take photos of it. 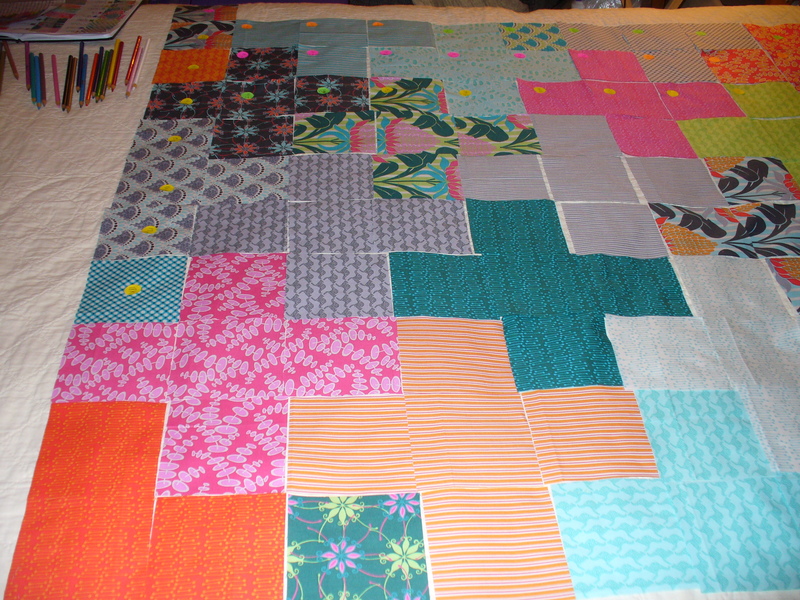 Then I’m going to piece the quilt, basically like a nine patch, onto batting so I can quilt it as I piece it. Thanks to the book Quilt As-You-Go Made Modern by Jera Brandvig, I think I can handle it. Regardless, I can’t wait to try! 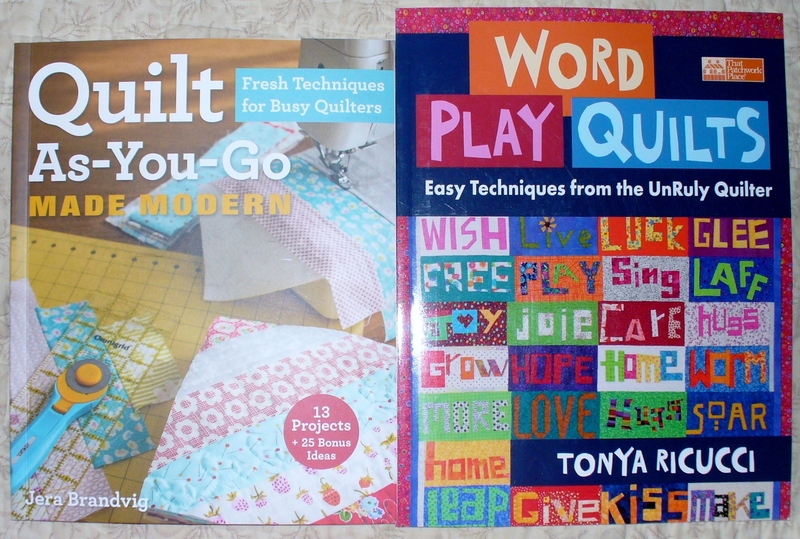 I’m going to use the other book to piece messages to my grandchildren for the backs of the quilts I’ll make them. Although, now that I’m thinking about it, I might just make my middle granddaughter one that says “I love you more” on the front. It’s a game we play each time we talk on the phone. Whoever says I love you at the end of the conversation ends up in a debate over who is loved more. I found her a Christmas ornament this year that says “I love you more”. That was fun! my very favorite fabric in the collection! My head has been spinning since I got home from Oklahoma a week ago with all of the quilt projects I want to start — right this minute! It’s been difficult to choose the one I’ll start first. In fact, I still haven’t picked one. So, I thought it might help if I made a list of them for us all to see. Here goes…. I want to finish hand piecing the pink hexagon quilt I’ve started for my grandson. Yes, he likes pink and I’m perfectly fine with that. I’d like to make a quilt like my hubby’s quilt for me to use at my son’s house. Since I want to use fabric I have on hand (my goal is no new fabric this year), I’ll either use the black and whites I have or white muslin for the back of this one. My youngest granddaughter has started one like this also, I’d like to help her finish it. I need to finish my oldest granddaughter’s fourteen year old quilt in progress. I found the fabric I need to finish it when I was in Oklahoma! I’ve wanted to make a bed sized pineapple quilt like the black and scrap batik miniature pineapple quilts I’ve made in the past. The mini has blocks smaller than three inches square. The bed sized quilt will have ten inch blocks. Another quilt I’m chomping at the bit to start is a Plus quilt using the Terra Australis fat quarter bundle I bought recently. I don’t think I’ve ever bought a fat quarter bundle of a complete fabric line before, but I fell hard for this one when I saw it. I am totally in love with the fabric I photographed alone in the top photo! I wish I had enough of it to back the whole quilt. Alas, I have only the one fat quarter of it. It will be difficult to cut into that one. Of course, there will be other quilts that will make their desire to be made known to me over the next year. I hope I can get them all done and have them being used and loved before the end of 2015! I’ll let you know how I do as I work on them. all 32 fat quarters of Terra Australis! I had more gratitude to write down today. 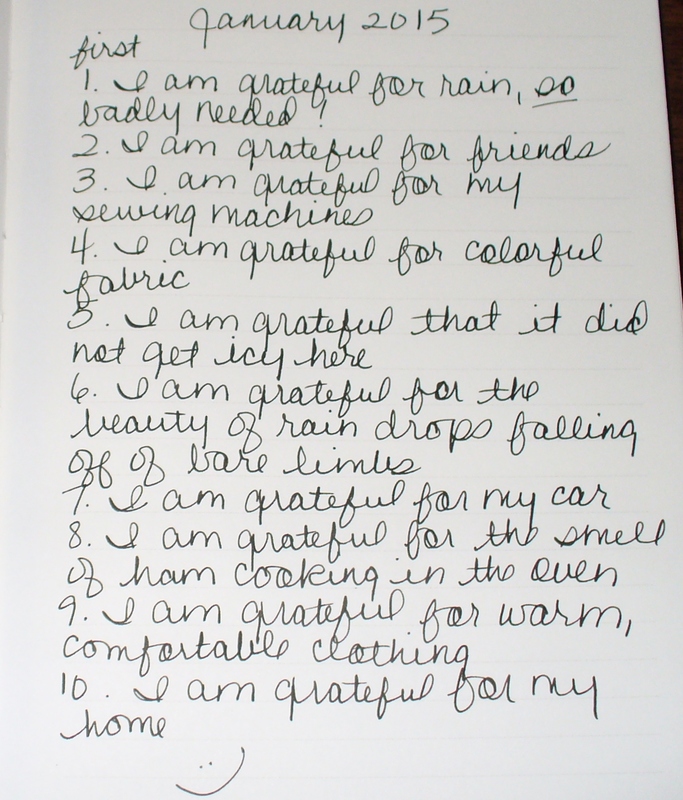 In the past, I’ve waited until the day was done to write down the things I was grateful for, but I wanted to truly focus on gratitude all day long, so I wrote down everything else I could think of in the early afternoon. I have a weakness for blank books. I had a beautiful one just sitting on my bookcase, empty and waiting for me to decide what to write in it. That’s the one I picked for my new attitude project. It has wonderful gold-edged paper in it that really likes my fountain pen ink — no bleed through and dries quickly. Love it! I used my Noodler’s Black ink in my pen. I set up my sewing machine and started organizing the pineapple quilt project today. (I want to start it in the next couple of days!) I’ve made many miniature pineapple quilts over the years, like the one to the left. This is the basic setting I plan to use. I’m going to use foundation papers to piece the blocks. My friend Robin went to a lot of trouble to design the blocks in the size I wanted. Thank you, Robin! They’ll be about ten inches square. 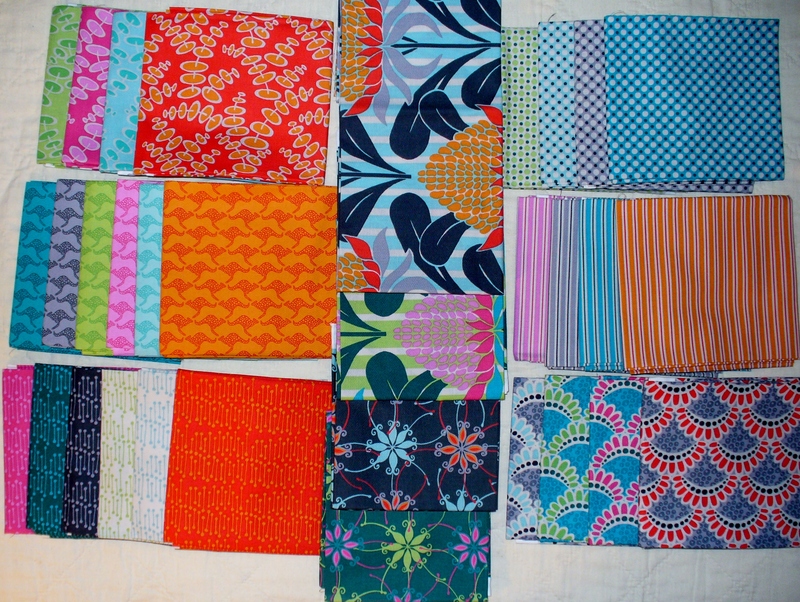 I plan to make enough blocks to make a large queen sized quilt. As in the photo of the mini, all the “dark” pieces of the block will be black and the “light” pieces will be various batik fabrics. It should just sparkle! I can’t wait to sew up a bunch and show them to you! If you happened to read my last post, you know that I am not sorry to see 2014 in my rearview mirror. I logically know that every single person on this big earth has problems and sorrows every single year. No one can get through this life unscathed. When you are going through the pain of your own sorrows though, it’s sometimes difficult to remember that everyone else has their own pains too. At least it’s difficult for me to remember at times. As I was driving home from running errands yesterday morning, I was thinking about the pain and challenges ahead of us in the next months — pretty much throwing myself a good, old fashioned pity party. Then I was basically slapped upside the head with the realization that no matter how challenging or painful this year turns out to be, that my own attitude toward each day will be what makes or breaks me. You see, my hubby was diagnosed with an aggressive form of prostate cancer just before Christmas. He’ll be undergoing tests in the next few days to see if it has spread and then he’ll be making decisions on how to deal with this diagnosis. There will be days that are really difficult. They may even be pure hell to endure, but that does not have to ruin this new year for me. What I have to do is look for the good in each and every day or this year. I have to focus on gratitude! So, my word for the year of 2015 will be gratitude and I will share my gratitude here with you. I’ll be back soon to share some sewing and quilting projects with you. I hope to have more fabric creativity in my life this year. I’ll also be sharing my gratitude with you each week. Happy New Year! I wish you health and happiness in 2015! All in all, it’s been a rough year. I started to break it down and tell you all about it, but that started to depress me. Let’s just shorten the list to this — lots of illness and a couple of deaths in our family this year. I’m glad to see 2014 ending and hoping 2015 will be better. Happy New Year, y’all! No matter how the year has gone for you, I hope this new year is better for you too!